Virtual Horse Racing News | What is it like to own and train your own virtual horses? What is it like to own and train your own virtual horses? 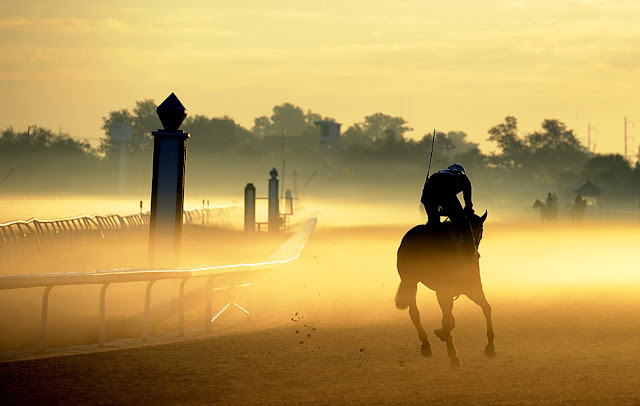 Have you ever wanted to know what it's like to be a race horse owner and/or trainer? Sport of Kings offers you the chance to do just that in an easy to learn and fun to play environment. The thrill of owning and racing a digital horse is best summed up by one of our loyal players.
" Horse racing is the best game in the world. I have had the privilege of taking part in some of the greatest racing in America in the 22 years I have been soulfully attached to this great industry. So to find a game to match the excitement you have when you actually stand in that winners circle for the first or the last time it is the greatest feeling in the world, and if I get that feeling playing this simulation/game then you are doing your job. Well done guys. We just need to bring this simulated joy to all the other racing fans." We allow you to either buy an existing horse or breed your very own horse from existing bloodlines many of which will be familiar to modern day handicappers. You are then responsible for the exciting process of discovering the horses ability and preferences. Much like real life this can be a simple process or one that goes on for the life of the horse. Our horses have a life of their own and evolve and mature in a very realistic manner which makes every horse a thrilling and unique adventure. One key to making the game enjoyable is that we operate on a 3x timeline to real life, meaning that each season (1 year of game time) takes only 4 real life month. This means far less wait time between races (the average layoff is 7-14 days) and an opportunity for a fresh crop of horses to hit the track every 4 months. The races themselves are realistic simulations that allow horses to showcase their running style preferences and tendencies. We have horses that simply need the lead to win while others will sit back off the pace and look to make one big run at the wire. We provide detailed data that you as the owner are able to dig through to try and solve the puzzle that is each horse or you can simply use the training times to try and place your horse. You are able to be as detailed and complex or as simple as you choose, it's all up to you. Apart from racing we offer owners many other things to do including private sales, public auctions, and breeding. Breeding is one of our most popular features that allows owners to continue on the bloodlines of their champion horses. The unique horse development that we offer includes a sophisticated bloodline based breeding system that has no equal. Breeding and our horse evolution are key features to our game and make us very unique in the online horse racing game industry. Come join the over 16,000 registered players and take your spot in the starting stall for the thrill of a lifetime. Breeding Virtual Horses (Part 1)Breeding is one of the most asked about features here at Sport of Kings. Our system is a comprNew Player GuideThe first thing you will notice is that there are a lot of things to do, but don't get overwhelmed,Virtual Horse GameHave you ever wandered what it would be like to own, train, and race your own virtual horse stable?